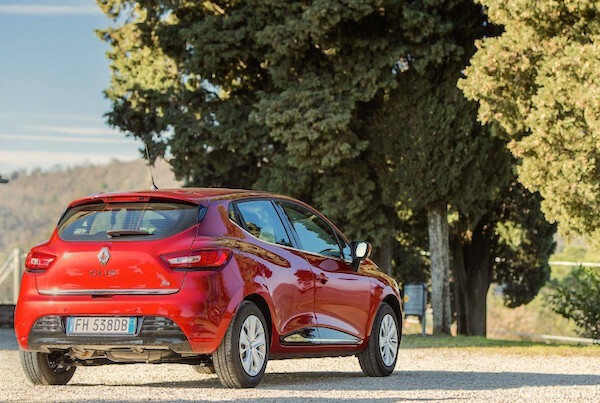 The Renault Clio remains the most popular nameplate in France so far in 2017. The French new passenger car market is up 3% year-on-year or 32.852 units over the First Half of 2017 to 1.135.281 registrations. Although private sales have shown some unusual dynamism in May and June, they only gain 0.2% or 953 units over the period to 529.747 to position themselves at a historically low level of 46.6% market share. The overwhelming majority of the sales increase so far this year is due to tactical sales – self-registrations, demo sales and short-term rentals (+24.463 sales) and company sales (+6.663). The Peugeot 2008 climbs onto the French podium over the First Half 2017. Renault is up 0.4% to drop 0.5 points of market share to 20.3%, reversely Peugeot is up 6% to gain 0.5pp to 17.5%. Citroen evolves almost like the market at +2% to drop slightly at 10.1% share, while Volkswagen declines 5% to 6.4%. Dacia (+4%), Ford (+9%) and Toyota (+17%, the most dynamic in the Top 10) all beat the market, distancing Opel (+3%) and Nissan (+2%) with Fiat (+11%) delivering the 2nd biggest gain inside the Top 10 thanks to the new Tipo (#31). Audi remains the #1 premium brand in France but gains just 0.1%, with Mercedes catching up at +12%, overtaking BMW (-2%). Kia (+11%), Seat (+20%), Suzuki (+38%), Alfa Romeo (+38%) and Tesla (+56%) are among the biggest gainers in France so far this year. 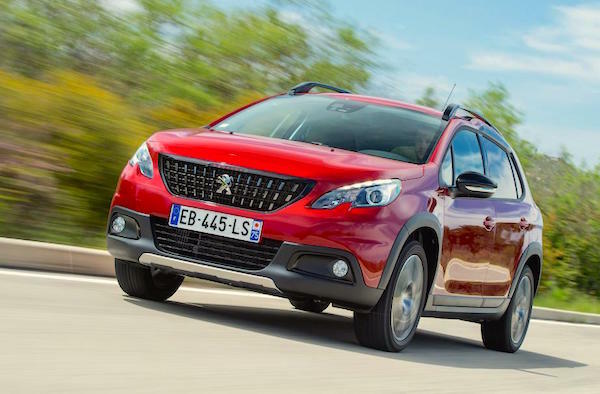 The Peugeot 3008 II, Citroen C3 III and Renault Scenic IV all land inside the Top 10. Model-wise, the Renault Clio (+4%) accentuates its advantage over the Peugeot 208 (+1%) to 0.9pp, but Peugeot places three nameplates in the Top 4 with the 2008 up 4% to #3 and the 308 down 14% to #4. Awaiting its facelift, the Renault Captur is down 10% to #5. 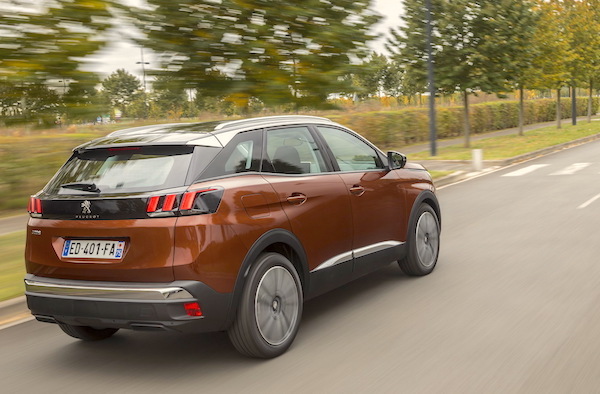 We have no less than three all-new nameplates inside the 2017 French Top 10: the Peugeot 3008 II is the success of the year, landing directly at #6 and peaking at #4 in January and June. It’s a tremendous success for Peugeot with 70.000 orders since launch. Peugeot is hoping to replicate its success with the larger 5008, already inside the Top 20 in June. 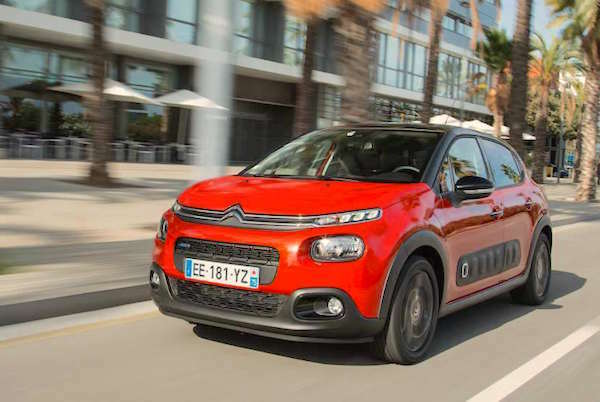 Citroen places the new generation C3 in 7th place and should be aiming at #3 by the time the year ends – a difficult task. 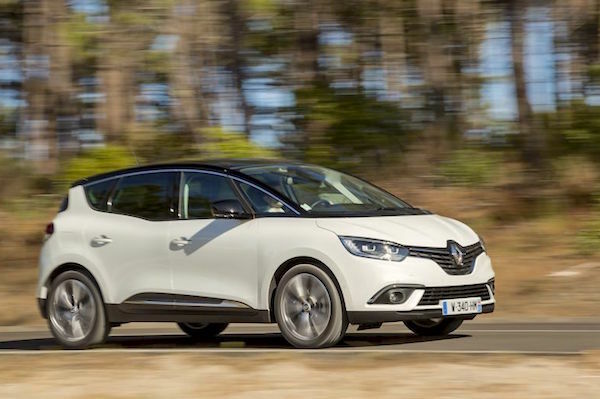 Finally the Renault Scénic IV arrives at #10, less than 2.000 units below the Megane IV already down 25% in June. 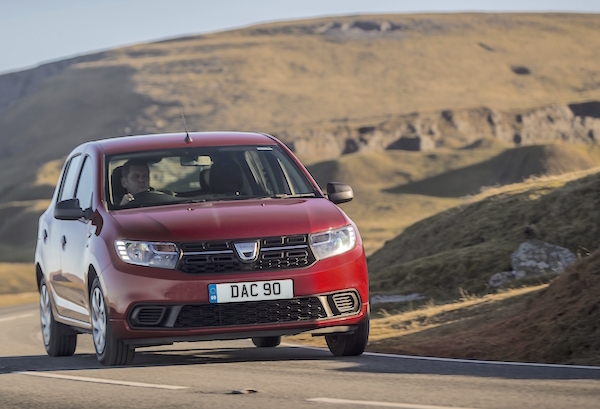 The Dacia Sandero is 6.000 units above any other nameplate in the private sales charts. The Dacia Sandero is up 7% but down two spots to #8 overall but dominates head-and-shoulders the private sales ranking with just under 30.000 sales (+11%), almost 6.000 units above the Peugeot 208 (-8%) while the Peugeot 2008 outsells the Renault Clio with private buyers. Looking at the private sales brands ranking, Dacia manages a very impressive third place below just Renault and Peugeot and above Citroen and Volkswagen. 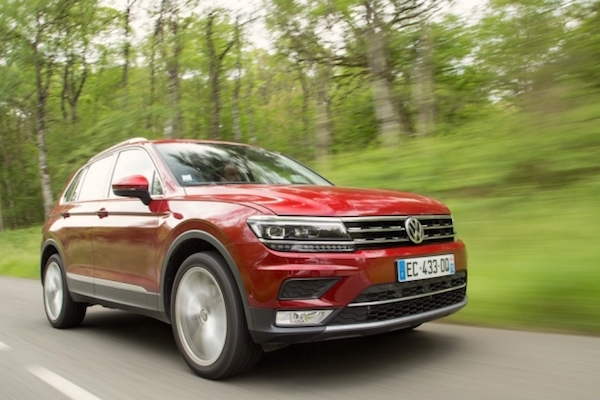 Back to the overall models ranking where the VW Polo (#12) remains the most popular foreigner ahead of the Toyota Yaris (#16) while the VW Tiguan (+103%) spectacularly overtakes the VW Golf (-26%). The Nissan Qashqai (+4%), Fiat 500 (+9%), Opel Corsa (+11%), Ford Fiesta (-2%) and Opel Mokka (+11%) follow. Just below, the Toyota C-HR is an instant blockbuster, landing directly at #26. The Renault Zoe breaks into the Top 30 at #28, the Mercedes GLC is up 102% to #55 and the Audi Q2 lands at #60. Full H1 2017 Top 40 brands, Top 280 models and Top 10 private sales brands and models vs. Full H1 2016 figures below.